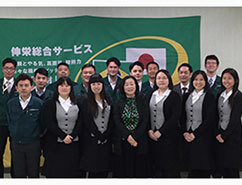 Brazil Staffing Outsourcing SHINEI SOGO SERVICE Co., Ltd.
To company who is considering employment. We will take care about recruitment of foreigner including Brazilians. 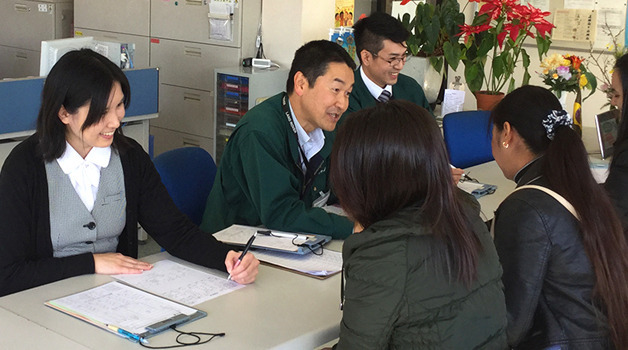 Since the majority of our workers are foreign citizens, our bilingual management staffs support those non-Japanese speakers living in Japan. We have social insurance, employment insurance and industrial injury insurance, provide periodic medical checkups, and carry out thorough health management for our employees. We also operate a preschool for moms and dads as well as automobile insurance agent in order to secure our employees' safety. 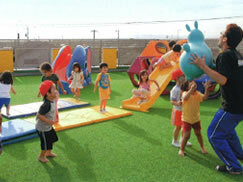 We established a preschool so that parents can feel safe to leave their children and work. We train our employees with our original training program to meet various customer's needs. We provide professional services in management, reception, sales and accounting. To provide qualified personnel to customers. We will do a service to your needs. 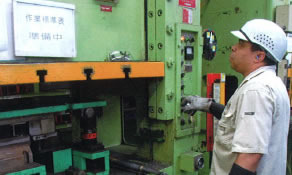 Manufacture of car parts, manufacture of electrical goods/ light duty work/inspection packing/ inspection/ welding/ presses/NC lathe/ molding/ electronic component assembly/fitting and so on….